Naming opportunities provide recognition that creates a lasting legacy of philanthropic donors. Naming opportunities are offered to honor the generous support of individuals and organizations that have contributed in a significant way to the advancement of the University. Substantial gifts to the University may be named in honor of the donor or another individual or organization, and memorial gifts also may be named. Endowment funds may be named according to University Policies. Once a request for a naming opportunity has been submitted, the University forms a committee to review the request. The committee makes a recommendation to the Vice President for Finance and Administration. This recommendation then goes to the University President, who forwards the recommendation to the Board of Governors of the CSU-System. 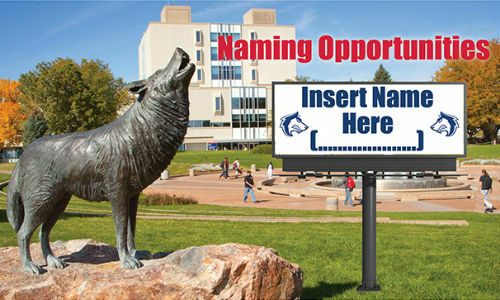 The Board of Governors must give final approval before a naming is permitted.